Microsoft’s virtual assistant is best-used as a companion for Windows 10 PCs. 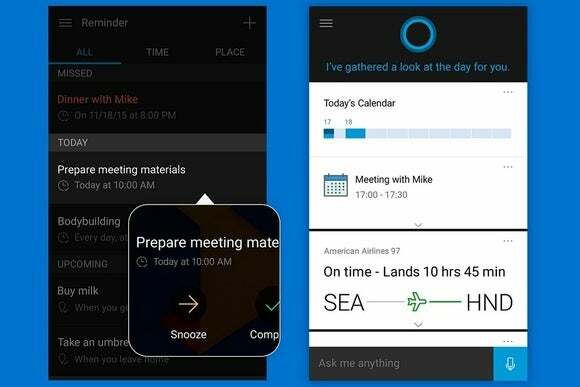 After a brief beta testing period, Microsoft’s Cortana assistant is available for everyone on the iPhone and Android phones. Though Cortana lacks the deep operating system hooks of Android’s Google Now and iOS’s Siri, it could still be a useful companion for users of Windows 10 PCs. For instance, you can set time- or location-based reminders from the Windows 10 taskbar, and have those reminders pop up on the phone. Cortana works better if you give it more access to personal data in Windows 10. Setting up the Windows Mail app allows Cortana to track flights and inbound packages, and you can specify favorite sports teams, weather locations, and news topics of interest in Cortana’s Notebook menu on the PC. Why this matters: Cortana is arguably the centerpiece of Windows 10, but on mobile devices it never had much chance of luring people away from the iPhone and Android. So instead, Microsoft is taking the opposite approach, and hoping Cortana’s availability on those platforms will help keep people attached to their PCs. Although Cortana is now available on more platforms, not all versions are created equal. The Android version, for example, has some capabilities that aren’t possible in iOS. Users can view incoming phone calls on a Windows 10 PC, and send a call you later text message back to the phone. 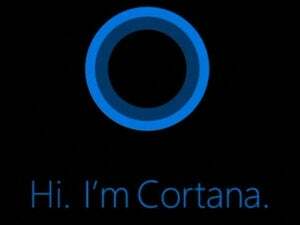 Android users can also say “Hey Cortana” to begin a voice command from the Android home screen or the Cortana app. To take Android integration even further, Microsoft is partnering with Cyanogen, which offers a custom version of Android for phone makers who don’t want to make their own. This allows for toggling network modes, powering down the phone, and turning on quiet mode through Cortana voice commands, and launching “Hey Cortana” from any screen. The OnePlus One will be the first U.S. phone to get these features in mid-December, with other phones to follow. This doesn’t leave Windows 10 Mobile with many unique selling points, aside from the ability to toggle settings from the phone and launch apps by voice. But by now, it should be obvious that Microsoft doesn’t care. The company is much more interested in selling cross-platform services than artificially propping up a platform that has continually struggled to gain traction.